In National Geographic Traveller magazine Belfast Tourism was described as an unspoilt treasure which was one of the world’s must-see destinations. The Financial Times said it was one of the top 10 places in the world to hold a conference or major event and TripAdvisor named it the best value city for tourists in the UK. Many Ireland tours will have Belfast included and if you are on your travel to Ireland Belfast certainly has much to offer. Some of its popular tourist attractions and things to do in Belfast are shown below. Most of Belfast is in County Antrim, but parts of East and South Belfast are in County Down.Belfast is the capital and largest city of Northern Ireland. By population, it is the fourteenth largest city in the United Kingdom and second largest on the island of Ireland. 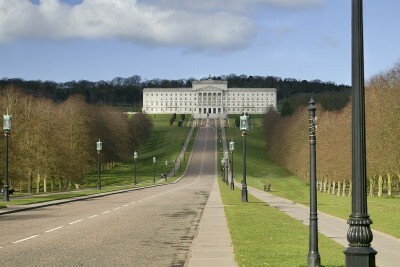 It is the seat of the devolved government and legislative Northern Ireland Assembly. The city of Belfast has a population of 286,000 and lies at the heart of the Belfast urban area, which has a population of 579,276. Belfast was granted city status in 1888. Historically, Belfast has been a centre for the Irish linen industry tobacco production, rope-making and shipbuilding: the city's main shipbuilders, Harland and Wolff, which built the well-known RMS Titanic. Today, Belfast remains a centre for industry, as well as the arts, higher education and business, a legal centre, and is the economic engine of Northern Ireland. The city suffered greatly during the period of conflict called the Troubles, but latterly has undergone a sustained period of calm, free from the intense political violence of former years, and substantial economic and commercial growth. Belfast city centre has undergone considerable expansion and regeneration in recent years, notably around Victoria Square and Belfast Tourism has benefited as a result. Set in gorgeous surroundings with beautiful views Belfast Castle offers a lovely relaxing day out and is also very close to the Belfast Zoo if you fancy heading to see our local animals! The castle is a very popular tourist attraction in Belfast with visitors able to enjoy the panoramic views of the city and a leisurely stroll around the grounds with lots to see and do. If you are feeling a bit peckish you can stop in the castle eateries! The splendid neoclassical City Hall Belfast, built in 1906 to symbolise the pride and might of a city which boasted the world’s largest shipyard, ropeworks and linen mills. It is of course the civic building of Belfast and is situated in the city centre and its beautiful grounds are a popular place for visitors. 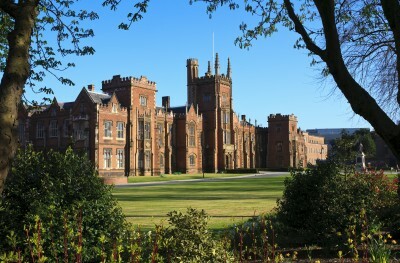 The vibrant University Quarter, taking in the magnificent Charles Lanyon-designed Queen's University, the brilliantly renovated Ulster Museum and Botanic Gardens, including the Lanyon-designed Palm House and the Tropical Ravine. Stormont Belfast is Northern Ireland's Parliament, towering above a valley to the east of the city, has a front drive a mile long. Stormont Belfast Parliament Buildings is home to the Northern Ireland Assembly, the legislative body for Northern Ireland established under the Belfast Agreement 1998 (the Good Friday Agreement). There are several ways you can visit Stormont Belfast . They are are open to the public between 9.00am and 4.00pm Monday to Friday, when you can see first-hand the building and beautiful surroundings of the Stormont Belfast Estate. Built at a cost of nearly £1.7 million, Stormont Belfast was designed to house the newly formed Government of Northern Ireland. The foundation stone for the building was laid in 1928 and it was officially opened on 16th November 1932 by the then Prince of Wales, on behalf of King George V.
To learn more about the history, architecture and day to day business of Stormont Belfast Parliament Buildings, take a guided tour. During the tour you can learn about the history of the building, and interesting facts. There are a range of places to stay in Belfast. These range from Bed and Breakfast to Belfast discount hotels to more luxury high end Belfast hotels. For a more detailed look at places to stay in Belfast and customer reviews just follow the link. This newspaper has the highest circulation. The Belfast Telegraph Ireland was first published as the Belfast Evening Telegraph on 1 September 1870 by brothers William and George Baird. Its first edition cost half a penny and ran to four pages covering the Franco-Prussian war and local news. The Belfast Telegraph Ireland is the primary title of Independent News & Media (NI) Ltd.
By the end of the 20th century The Belfast Telegraph Ireland was selling more than 100,000 copies daily. Its competitors are The News Letter and The Irish News but the English red tops are also a threat, selling at a cheaper price than the 'Tele'. The Belfast Telegraph Ireland was entirely broadsheet until 19 February 2005, when the Saturday morning edition was introduced and all Saturday editions were converted to compact. The weekday morning Compact Edition, launched on 22 March 2005,struggled to replicate the evening newspaper's success. Its editorial content has been much more tabloid, with a greater entertainment story count than the evening paper. Gumtree Belfast is the go-to place for everything from cars, jobs and flats to pets, furniture and tutors. And much more besides. Their original aim is of creating a quick and easy way for people to connect with the thing or person they want to find.